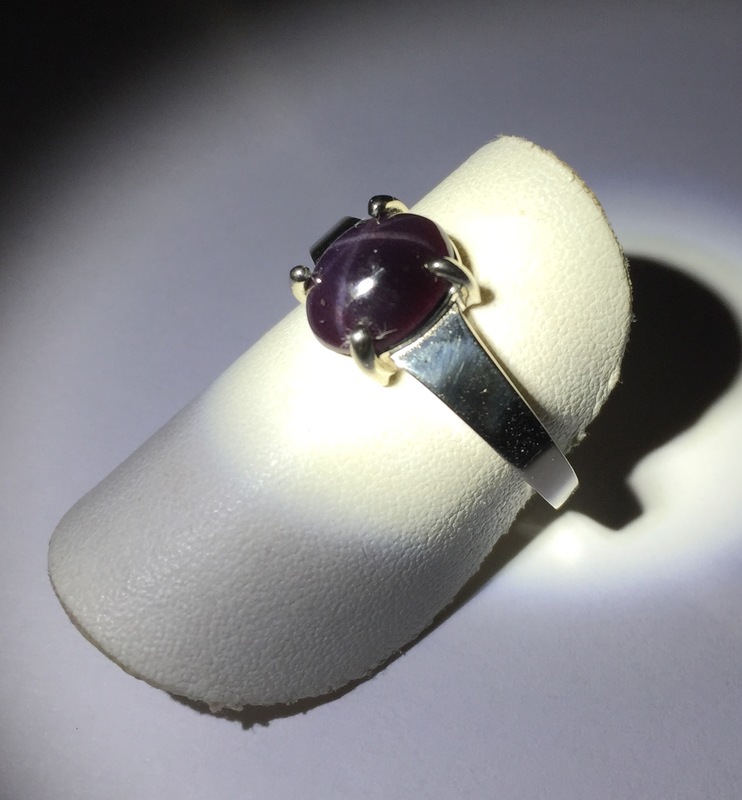 We have the perfect ring for those who like simple looks in jewelry. 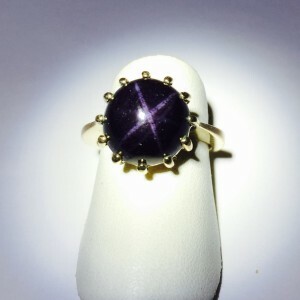 Now, this has a simple look but the Star Garnet is strong six ray. 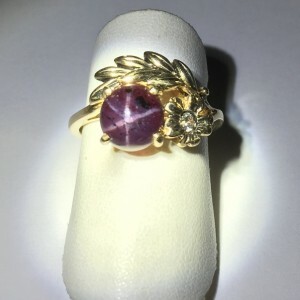 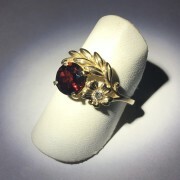 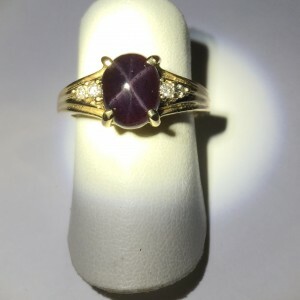 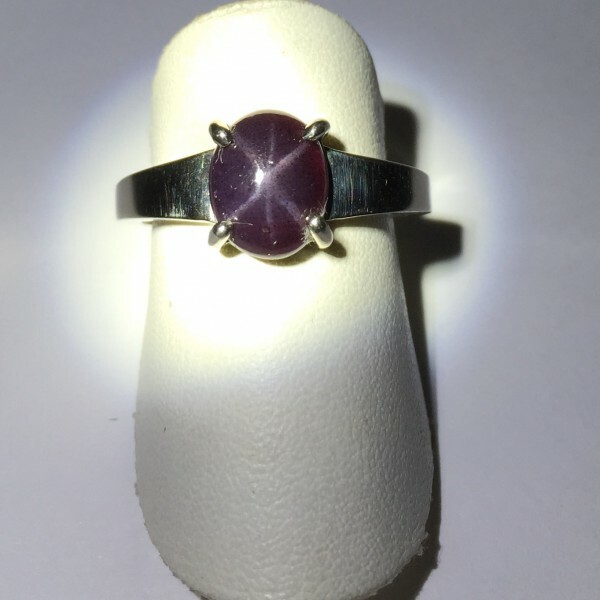 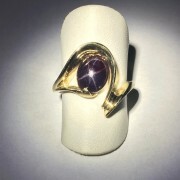 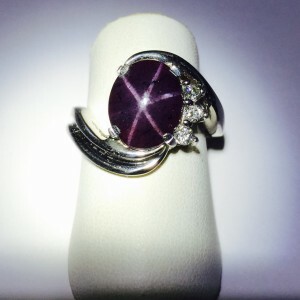 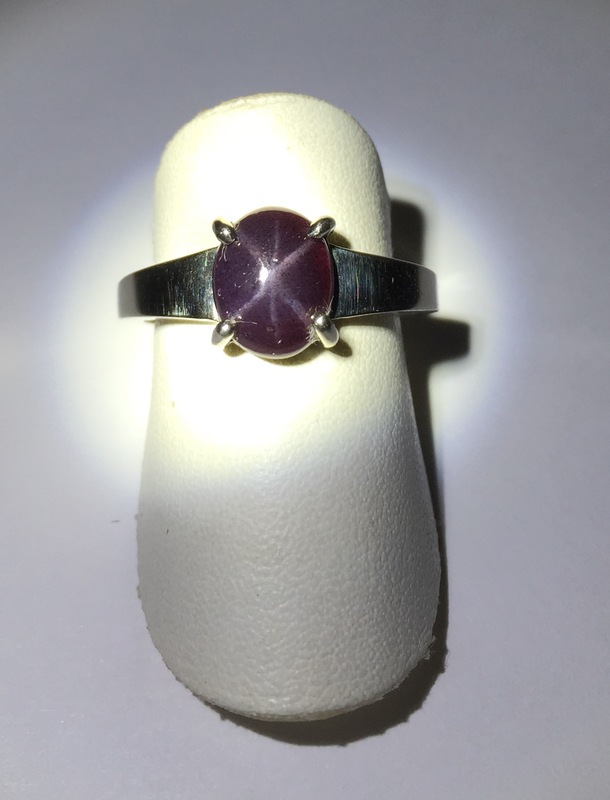 The Star Garnet is 9×7 six ray oval. 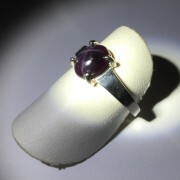 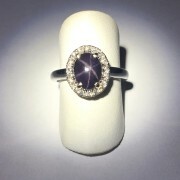 Mounting is 14k white gold and has a tailored look.